Noah Bryant Munck (born May 3, 1996 in Orange County, California) is an American actor. He is best known for his role as Gibby Gibson on the Nickelodeon television series iCarly. 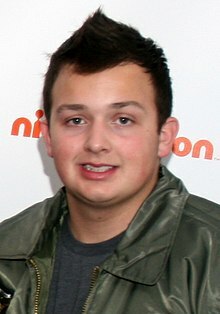 Noah Munck was born in Orange County, California. He began his career in advertising spots. These included Volkswagen and "Got Milk?" In spring 2007, he went in hip-hop courses with his sister. Munck acted in iCarly from 2007 to 2012. From the season 4, he played a main role. In 2011, he was in the movie Bad Teacher as Tristan. This page was last changed on 8 April 2019, at 13:49.